NEWLY elected MPs for Zvimba South and Vungu constituencies Phillip Chiyangwa and Omega Sibanda, who are also the Zifa president and vice-president respectively, say they will be seeking re-election in December. 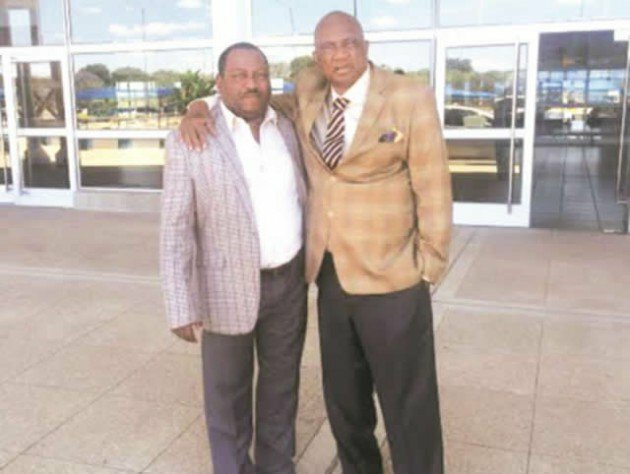 Chiyangwa and Sibanda, who were elected on a Zanu-PF ticket, said their political rise will not in any way interfere with the football positions they hold. "I am definitely going to seek re-election in December for the position of Zifa vice-president," said Sibanda yesterday, a position that was also expressed by Chiyangwa for the presidency. "I am in; why not," said Chiyangwa. Sibanda said there was a thin line that divides football and political office. "What is and will be wrong will be for us to put on political regalia while doing football business. I must respect football and its statutes as much as football must respect my political choice. I view our election as a positive development for, not only football, but sport in the country as a whole, as we will now be able to lobby from the House for a better budget for the sector, speaking from experience," said Sibanda. Asked about Article 14 of the revised Fifa Code of Ethics which in part stipulates that persons bound by the code must remain politically neutral in accordance with the principles and objectives of Fifa, Sibanda said as individuals, they are not members of Fifa, but Zimbabwe through Zifa was a member of the world football governing body. "It will be totally wrong for Zifa to openly campaign for a certain political party," said Sibanda. Chiyangwa and Sibanda become the third Zifa executive committee members to publicly declare their intention to seek re-election after Philemon Machana, who threw in his hat two months ago. Meanwhile, the Zifa executive committee, council and secretariat have congratulated Chiyangwa and Sibanda for their victories in the general elections. "We were always confident of their victories because we believe in their leadership qualities. There is no doubt that both are men of vision, endowed with a spirit of national development and servant leadership. They know and understand the concerns of the people they will serve and they have the capacity to deliver on those in the next five years. We wish them the best in their new endeavours, and hopefully it will translate to more meaningful and robust debate and support for the development of sport and football in Zimbabwe," Zifa communications manager Xolisani Gwesela said in a statement.